Since 1987 the Ojai Wine Festival has earned over $1.3 Million for Rotarian Community Service and international projects. Locally the Rotary Club of Ojai West Foundation focuses their efforts on enriching the education and health of our local youth as well as aiding additional civic needs. Our International Projects promote peace, fight diseases, provide clean drinking water, save mothers and children in need, support education and help grow local economies. Many thanks to all our patrons, sponsors, wineries, breweries, spirits companies, wine judges, food, and craft vendors, wine festival committee, fellow Rotarians as well as the hundreds of volunteers that lent a caring hand to make our fundraising event a magnificent success. Limited to 600 people, the VIP Lounge has early 11:30 a.m. entry, exclusive fine wines, craft beers, spirits and hors d’oeuvres. Beer lovers can enjoy a selection of 30 Premium Craft Beers and Microbrews. 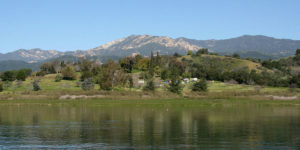 The event site is located at Lake Casitas Recreation Area’s Wadleigh Arm, 11093 Santa Ana Road Ventura, CA 93001.